It was a long, boring drive to reach Bologna from Switzerland. Highway driving in the Audi was smooth and quiet, but ultimately repetitive and dull. At least it gave me time to think about the car I was booked to shoot on arrival. It was a replica Shelby Cobra 427, but reportedly a very nice example indeed. I realized that I wasn’t sure exactly how I felt about replica cars, and switched off the music to let myself think. Being honest, I admitted that I might hold something of a bias against replica vehicles. I’m always interested in authentic products when I spend my money, be it on a pair of shoes from a company that has been making the same design for decades, or eating at restaurants whose menus reflect the backgrounds of the chefs, rather than what sells best. Rightly or wrongly, if we were playing a word association game and replica was the prompt, “fake” would probably be the first word to pop into my head. Since then, I’ve posed this idea to others to understand if this was a commonly held view, and while it differed slightly in the words chosen, the overwhelming majority agreed that original cars were “always better than a replica”. So why was I driving six hours that day to shoot this “fake” car? Well, a job is a job, but images in my mind of an American icon wearing foreign number plates in Italy’s “Motor Valley” sounded fun. I’m so glad that I went though, because the shoot really changed the way I thought about non-original cars, and certainly influenced the selection of cars that we publish here. On arrival at the owner’s beautiful modern home mid-afternoon, we introduced ourselves and sat down to have a quick chat before the shoot began. Angelo told me a story of how his favorite toy as a child was a model car. 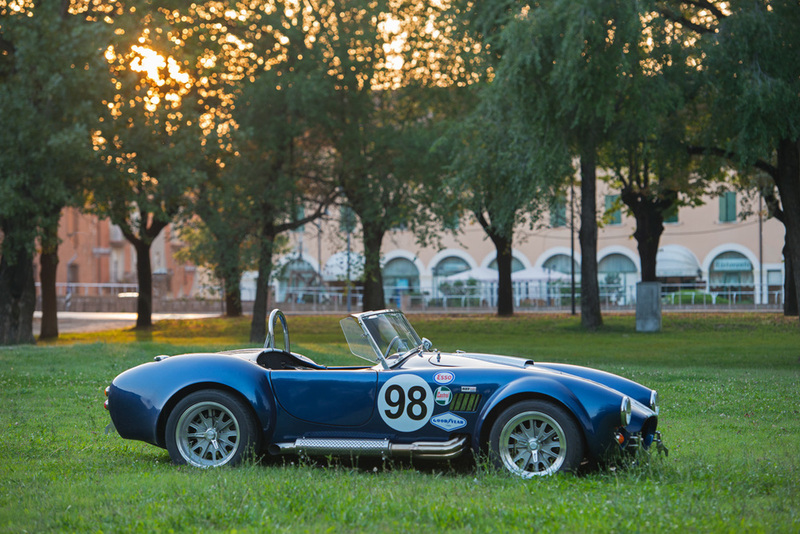 He would come to discover that the blue roadster with white stripes he adored was based on a 1965 Shelby Cobra 427, and promised himself that he would try to own the real thing one day. Fast-forward a few decades and sadly, prices of original cars had hit stratospheric levels. Clearly, Angelo shared a dream that many others had aspired to realize, and supply and demand had been working against him for quite some time. Disappointed but not defeated, he set out to find another way of experiencing the thrill of owning this roadster he had dreamt about parking in his own garage for so long. Clearly, the original is out of the question for all but the most well-heeled enthusiast – and even then, would those folks drive them anywhere near the limit? More likely the remaining original cars will be preserved by collectors in climate controlled garages around the world. He considered his options and decided that buying a replica Cobra was the only way that he would ever know if the sensation of piloting a real life version of his favorite toy was as good as he had always imagined. Angelo found a number of options available, with big names in the sector like Superformance being considered, but in the end, it was Backdraft Racing that won his order. I got in touch with the owners of the company based down in Florida, curious to see what they were all about. I asked the blokes in charge what separated their company from the pack (there are a surprising number of firms building Cobra-like vehicles in the United States) and what they would say to folks who think that non-original cars are “lesser” vehicles. He explained that people come to their firm because they build the best car to drive, not the most authentic replica. They race their cars all the time, and the team knows what they are doing. Tony Martin runs the factory where the cars are built, and he knows a thing or two about developing cars and quality control of components. Having won many races in over his career, including the Daytona 24hr in 1984, he adds a lot of credibility to the company. We as a company do not focus ourselves on building an authentic replica, as we are more concerned about the drivability of our cars. Our biggest selling point is a road test especially if the customer has driven one of our competitor’s cars. We build approximately 160 cars per year and ship them worldwide. We offer different spec cars for different countries to help meet local requirements for registration. We brand the cars with our own name, as we are proud of what we do. Essentially building a modern sports car with 60's styling. Like all automotive companies we believe racing improves the breed and we use this to test and develop our cars. This is not done to the same extent as we do by our competitors. Seemed like a pretty no-nonsense explanation, and when I read through the specs, I better understood why Angelo had decided to go with them. 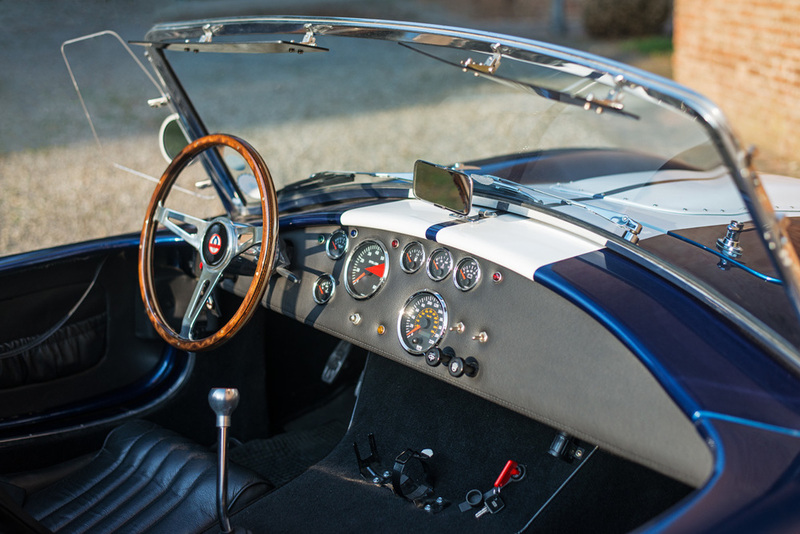 Just like this popular post, BDR’s recreation takes the Cobra’s classic styling and tweaks things in order to produce something unique to the brand, and then focuses on producing a roadster with better performing modern components under the bodywork. Choose the engine that excites you the most. Say the small block 427 for those wishing to recreate a muscle car feel, or a Ford Coyote 5.0 for those chasing something more modern. The suspension that is continually tuned and developed through their racing endeavors are all based on BMW components, so customers can be assured of easy parts support in the future. Given the modern performance, and the fact that a comparable Superformance car would likely be around $25,000 more than the RT3, I can definitely see the attraction in placing an order. Angelo was certainly happy with his decision anyway, and after spending the afternoon studying the car through my lens, I couldn’t fault it. After the car ride spent wondering how I would judge this non-original car, I’d been anxious to see if it felt cheap, fake, or just “off” in some way. It didn’t. It sent vibrations throughout his home when he turned the key, and sounded magnificent on the run, turning heads wherever we drove. With around 550hp pushing just 2400lbs, it was genuinely fast, and while the suspension was clearly developed to handle the demands of a track, it was certainly drivable on the street as well. It simply felt like a proper, substantial, well-sorted sports car, and I found myself struggling to remember why I had developed a grudge against replica or recreation vehicles. I’ve decided that it was a combination of seeing poorly executed builds online, and talking to clients with hugely valuable collections of original cars. Generally speaking, people form their own point of view from their personal experiences, and those opinions of people they get along with or admire, and I was no different. With so many manufacturers building cars over time, I suppose I had more than enough to read and discover about “real” cars to bother investing much time in considering replicas. Speaking with the owners of rare original cars, I came to better understand the cost and effort required to preserve classic cars in original condition. They enter concours events around the world to share their cars with fans, and obsess over every detail in both the car’s build and historical record. For the most part, many collectors I dealt with considered themselves stewards of historic objects, and would never deviate from the car as it was first created. With that perspective, I could understand how they looked down on replicas as a cheap imitation at worst, and a flattering homage at best, and I’d adopted their views as my own. I still hold great respect for those that value originality. Even if you start with an authentic car, it’s much, much harder to maintain a car with original components - repairing and reconditioning rather than replacing or repainting. These wealthy collectors that buy the sort of cars we showcase here with our auction highlights are definitely true car fans. They are willing to spend more money than some of us spent on our homes to acquire and preserve a piece of automotive art. They could spend that money in thousands of ways that I couldn’t relate to, so I definitely respect that they feel so strongly about original cars – but I no longer share their dismissive attitude towards replicas. I’ve realized now that dismissing all non-original cars as lesser cars was pretty ignorant of me, perhaps even arrogant. Why should the world be black and white, when the grey areas are so much fun to explore? Exceptional replicas and recreations of many cars do exist, and I feel like they deserve a spot on these pages so that they can be discovered and enjoyed here alongside the other remarkable cars we feature. Perhaps one day you’ll find yourself in Angelo’s position, where your dream car has appreciated beyond what you are capable or willing to spend. If that’s the case then I hope that you’d now have an open mind to at least consider the possibility of trying a replica of that model – if I haven't convinced you yet, maybe these shots will.